Whether you’re on a kale kick or guzzling green tea, superfoods are the hot topic on everyone’s taste buds. However, did you know that you’re actually doing your body a favor when you’re wolfing down that tasty guacamole or slathering smooth and creamy avocado on your sandwich? Apart from being delicious, the humble avocado is also a nutritionally healthy powerhouse. Loaded with heart-boosting mono-unsaturated fat, a great source of fiber and teeming with over 20 essential vitamins, minerals and phytonutrients, this little fruit is a great addition to your diet. If you’re looking to make avocados a part of your diet, get beyond the usual guac and chips and try out some of our mind-blowingly delicious (yet astonishingly healthy) avocado recipes. If you’re looking for a filling, low-carb breakfast, get your omega-3s on with this easy breakfast hack. This avocado recipe doesn’t have to stop there. Try first scooping out the flesh and mashing it with some fresh salsa, then loading it back in the shell. Make a well for your egg and voilà — breakfast is served, easy and fast. It’s a fact: though real butter may be delicious, it’s also loaded with things your body just doesn’t need. Avocado butter is a beautifully tasty, creamy alternative for your morning toast or afternoon crackers. In fact, you can even use avocado butter as a replacement for butter in your baking recipes. 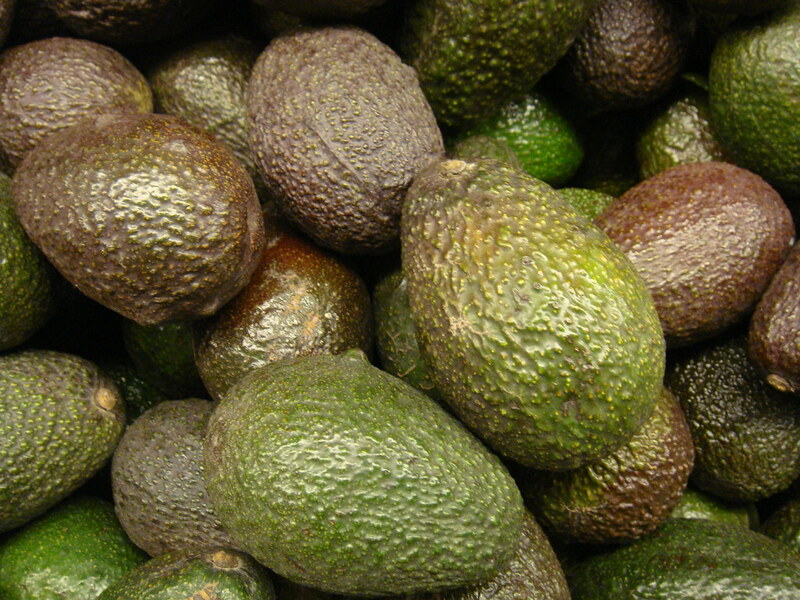 Read up more on on making the avocado swap in your baking here. If you’ve ever considered adding the whole “raw” element to your diet, this soup is an excellent introduction. Creamy and full of excellent enzymes, raw avocado soup is somewhat of a surprise if you’ve only hit the guacamole train with these fruits. Try jazzing it up with fresh salsa, grilled shrimp, or even chicken, for extra flavor. Love your creamy tuna salad but hate what it does to your hips? Never fear — here comes your pal, the avocado. This tuna salad leaves the mayo in the fridge and instead lets avocado stand in. You can serve it diner style between two pieces of toast, or get fancy by stuffing it back into the avocado shell. Chances are you’ve heard oodles about the raw food movement. This savory smoothie is packed with nutrients, and the avocado delivers a creamy texture and rich flavor. Try it for a quick and easy breakfast, or use it as a snack replacement to beat that mid-afternoon slump. Yes, Virginia, there is a Santa Claus. And he says you can actually have a healthy chocolate cupcake. By replacing the animal fats with healthy avocado, this Vegan Chocolate Cupcake recipe, from the blog Love and Lemons, hits all the healthy marks. Shake in a jar and pour over your salad. Eat and enjoy! Caesar salad is undeniably delicious, but it’s also incredibly damaging to your waistline. However, there’s no need to ditch this favorite. Instead of going traditional, take a look at this vegan Caesar salad recipe. Packed with avocado, cashews and other assorted goodies, this is one Caesar you can eat without guilt. Creamy pasta without all the fat and calories? And avocado too? Where do we sign up? Yes, you can actually have fries and still stay healthy, particularly with these baked avocado fries. Fresh from the oven, these make a perfect alternative to your normal, oil-logged potato fest. Try sprinkling with a little lemon or lime juice for maximum flavor. Those who love Indian food know that while parathas are gorgeous, heavenly breads sent directly from above, they are also usually made with quite a lot of ghee, or clarified butter. The next time you’re looking to soak up the sauce from your curry, look no further than avocado parathas. Protein-packed and with a gorgeous green hue, nobody will ever guess they’re actually good for you. Combine all ingredients (except for pitas) in a small bowl and toss well to coat. Stuff into warmed pitas and dig in. If you thought that sushi was strictly a vehicle for fish, then you’re in for a treat. Avocado makes a nutritious veggie or vegan alternative to your typical salmon or tuna. For an extra healthy punch, try making your sushi with brown rice instead of white. Visitors to and residents of Hawaii know that when it comes to a healthy choice for lunch or dinner, hitting the local poke shop is a sheer joy. Raw fish mingles with spices, soy and vegetables to create a punchy mouthful. This salmon and avocado poke recipe, from the blog Just Putzing, brings in our favorite green fruit for extra nutrition and downright deliciousness. Often referred to as Venezuela’s tastiest sauce, this combo may look simple but it’s got it where it counts in the flavor stakes. Guasacaca combines avocado, fresh parsley, cilantro, green bell pepper, onion, garlic, salt, oil and vinegar to a devastatingly yummy effect. Try it with barbecued meats for a truly south of the border experience. Though the idea of raw pizza might send devoted Chicago deep dish and New York thin crust lovers into a tailspin, this raw pizza was actually meant to be that way. Another healthy idea from the raw foods movement, this pizza is loaded with veggies and avocado, cutting the fat and calories out of your normal slice of pie. Try adding marinated mushrooms, grated carrot or even sprouts for extra flavor. It’s impossible to get healthy with mighty avocado recipes without including a few from Latin America. This Carnitas Caldo recipe, from the blog Gimme Some Oven, is a rich, broth-based soup that’s loaded with spices, pork, avocado and handfuls of cilantro, making it the perfect way to warm up after a hard day. Don’t forget to squeeze in an ample amount of lime before diving in. As the superfood of the moment, kale is finding its way into all sorts of recipes. Here kale joins its healthy soul brother number one, the avocado, to form a pesto that fills out a meaty portobello mushroom nicely. A tomato salad with thinly shaved red onions makes a colorful addition to this plate. Combine lettuce, beans, corn, avocado, onion and cilantro in a large bowl. Whisk together oil, lime juice, cumin, salt and pepper, and toss with salad. Stuff into tortillas and serve. This also is great with some extra homemade salsa on the side. Talk about a dinner party dish. If it’s avocado recipes you seek, then Avocado, Mozzarella & Bruschetta Chicken is a clear winner. If you’re concerned about the keeping the fat content low, try skipping the mozzarella and instead ramp up the veggies.